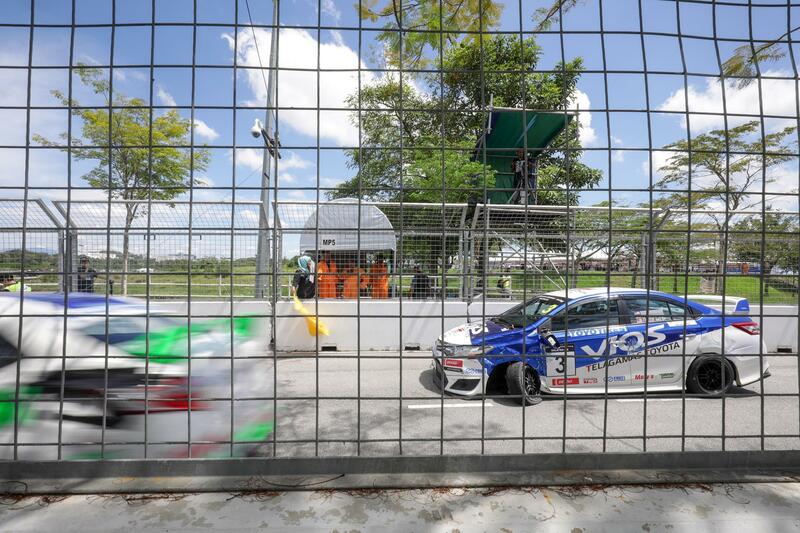 Take all the aspects of an exciting race, put them together and you’ve pretty much got the Vios Challenge… minus some horsepower; which in itself makes for a fun race nonetheless. Spec-cars, low horsepower, tight street-based circuits, concrete barriers and of course safety gear… throw them in the blender and you’ve got the perfect paste for door-to-door racing. There’s something seeing three cars side by side entering a turn wide enough for two that gets the blood flowing into the right organs; chiefly the big throbbing heart we know our readers possess. 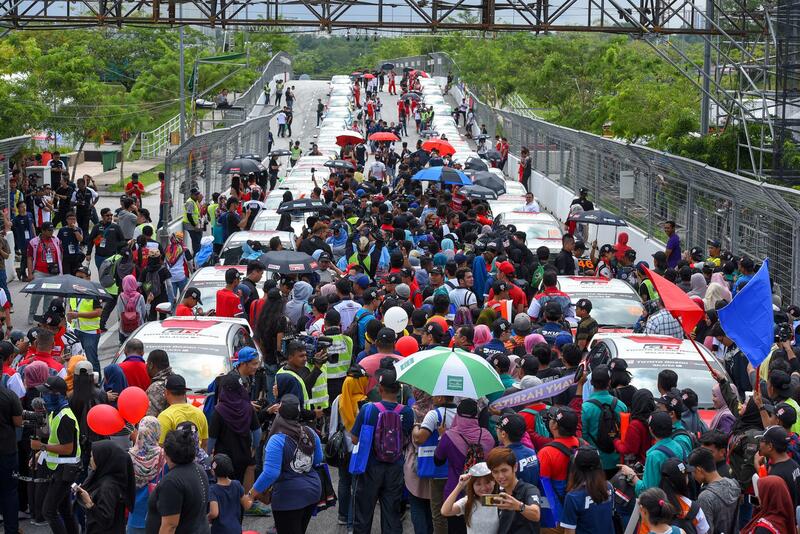 Racing in such conditions though always brings about carnage and Round 2 of the Vios Challenge at the Toyota Gazoo Racing Festival at the Malaysia Agro Exposition Park Serdang (MAEPS) in Selangor saw plenty of it; including the first overturned car in the series. The driver is totally fine. On its return to MAEPS, the course layout was tweaked to 1.99km and newly-resurfaced to smoothen out some of the 17 corners that were a little bumpy last year. 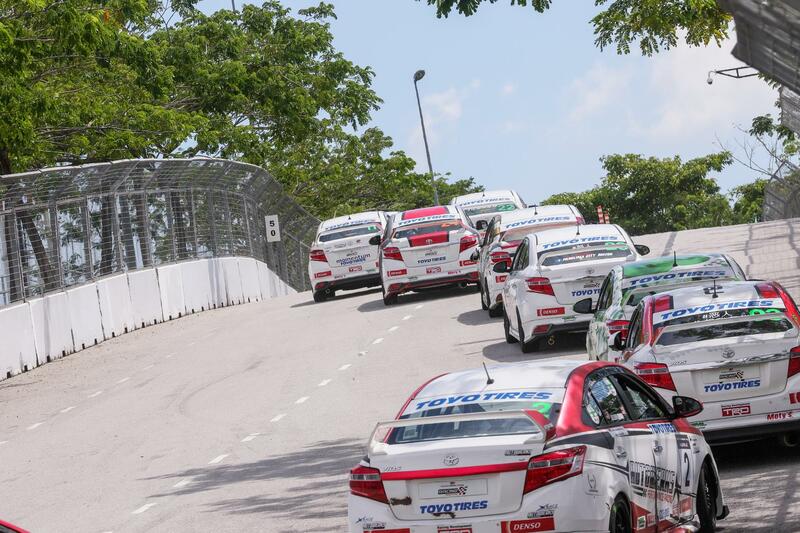 Television host and presenter Nabil Ahmad had the perfect first race to clinch his first win, having started from pole. Diana Danielle didn’t make it an easy win for him though as she fended off Aiman Tino in third to be sandwiched by the boys on the podium. “The plan from the start was to not allow Diana to overtake, and she was fiercely competitive. 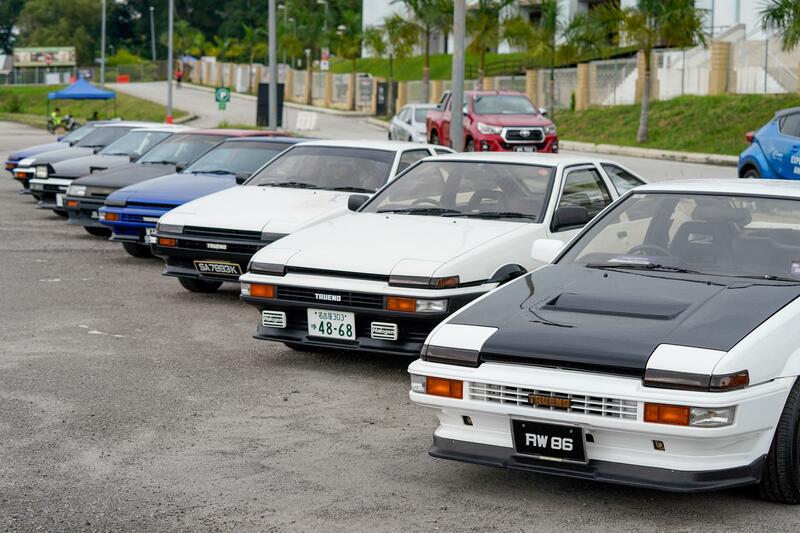 It was pure luck if you ask me because my rims broke but it did not puncture the tyre and I was able to pace myself to the chequered flag,” said Astro Gegar Vaganza host, Nabil. Aiman however was the biggest surprise as he muscled his way to overtake four cars at the start to climb from seventh on the grid to third by the chequered flag. 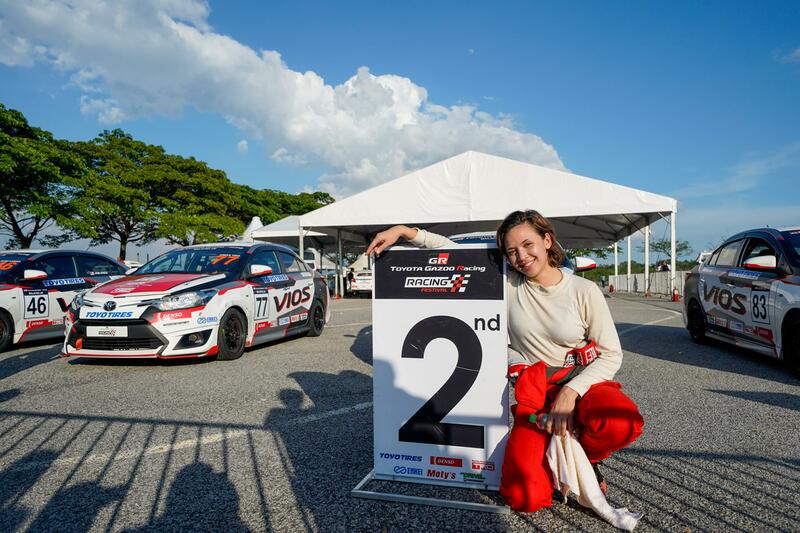 “I did my best to chase Diana and Nabil at the front but midway through the race I began experiencing severe understeer and from then on it was more of conserving the tyres and focusing on finishing the race,” said the 20-year-old. 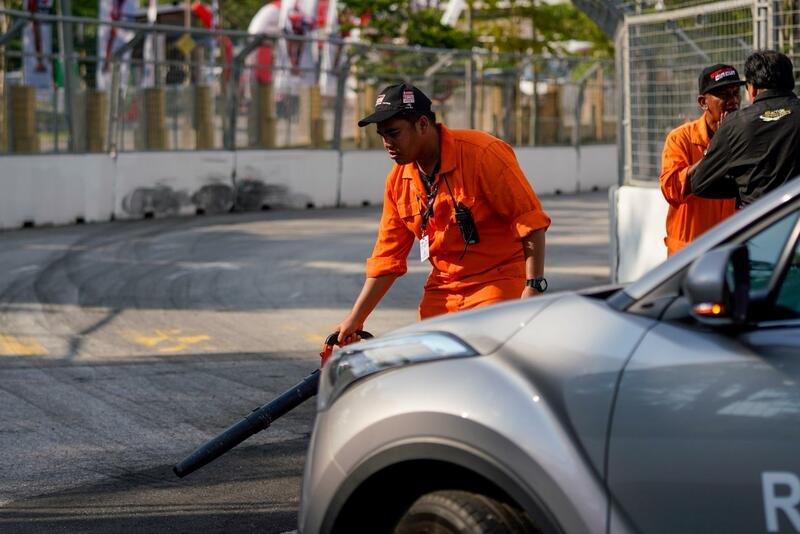 Kenneth Koh too scored his first win of the season from second on the grid as pole-sitter Brendon Lim was caught with a few ponies missing from the stable as he left his air-conditioning on at the start. The move to stay cool until the lights went green worked against him as he neglected to switch off the compressor which in turn robbed him of a few precious ponies for a strong start. In low-powered cars such as this, every horsepower counts. 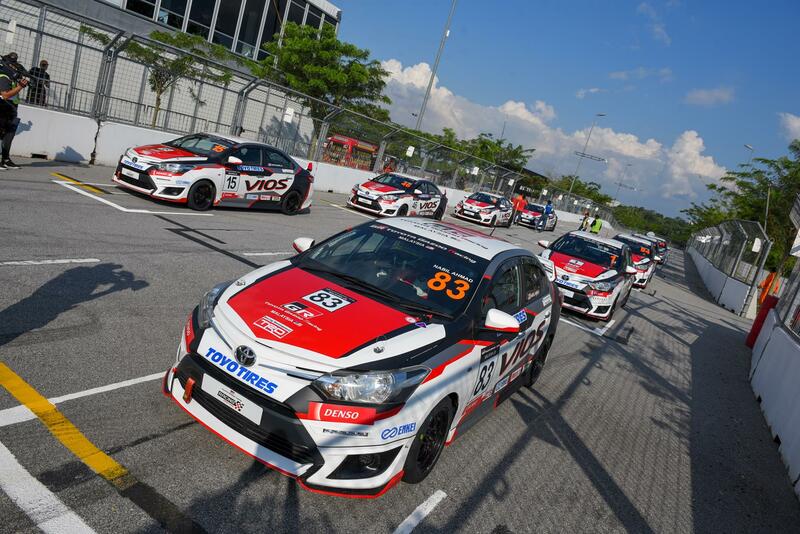 Koh took advantage of Lim’s poor start to lead the race from start to finish in what was essentially a “three-car train” to the finish with Dato’ Ken Foo coming in third for his first podium of the season. 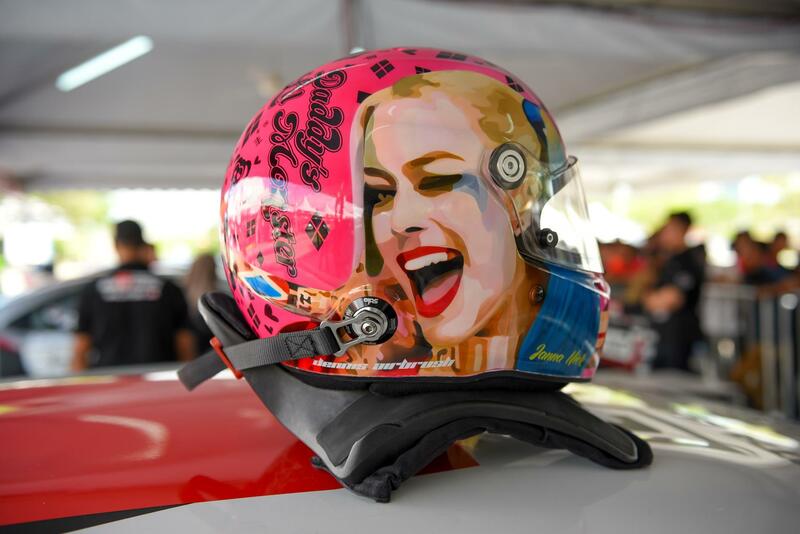 “We got a new set-up for the car this weekend and it performed very well. 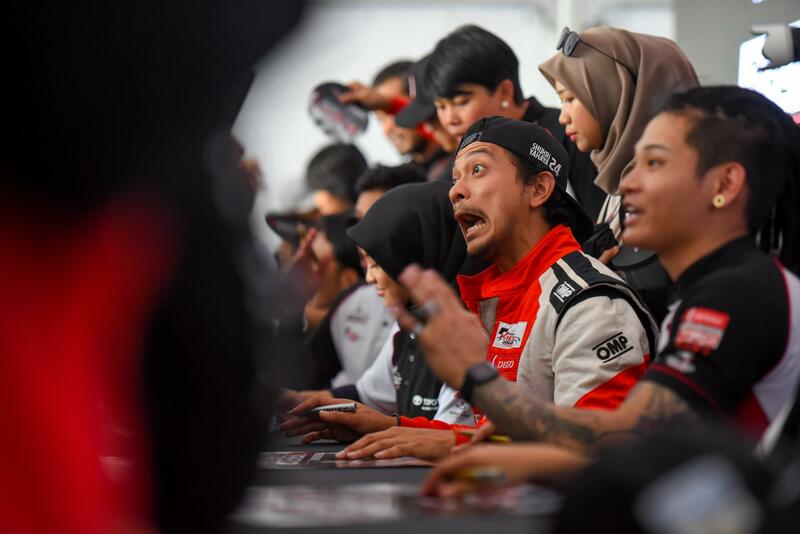 At the end of the day it was all about a balance of driving sensibly, not being foolish that would force me into an error, and saving the tyres,” said Koh. 14-year-old sensation Hayden Haikal started from fourth place on the grid and drove a matured race to fend off celebrity Shukri Yahaya who was practically “glued” to his rear bumper and the experience from racing a full season before paid off as Shukri eventually passed Hayden on the last lap to score fourth. Pole position man Boy Wong kept his cool to drive a composed race from start to finish and keep series leader William Ho at bay to win the first race by just over half a second. Last season’s Sporting Class champion; Brendan Paul Anthony, came in third six seconds off the pace. 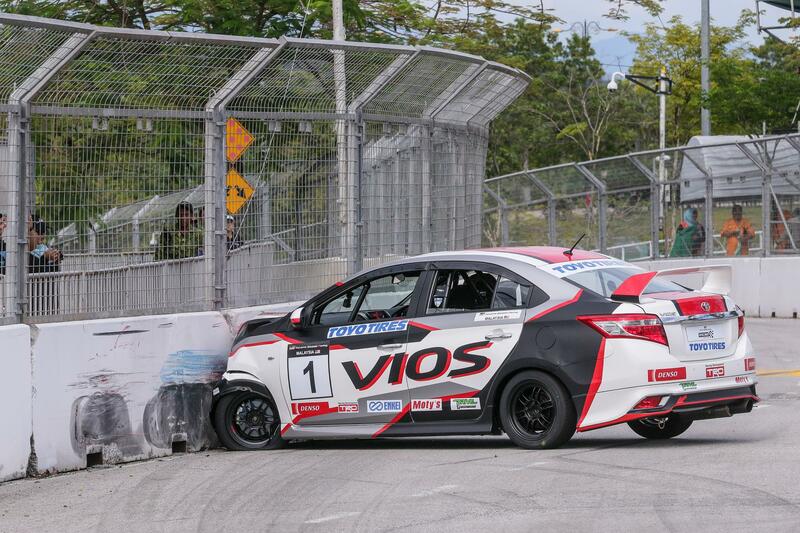 “I had too much wheel spin and that caused a very bad start. It’s something very new for me (competing in the Super Sporting class after winning last year’s Sporting class) because I am up against more experienced drivers now, said Team Dream Chaser’s Brendan. 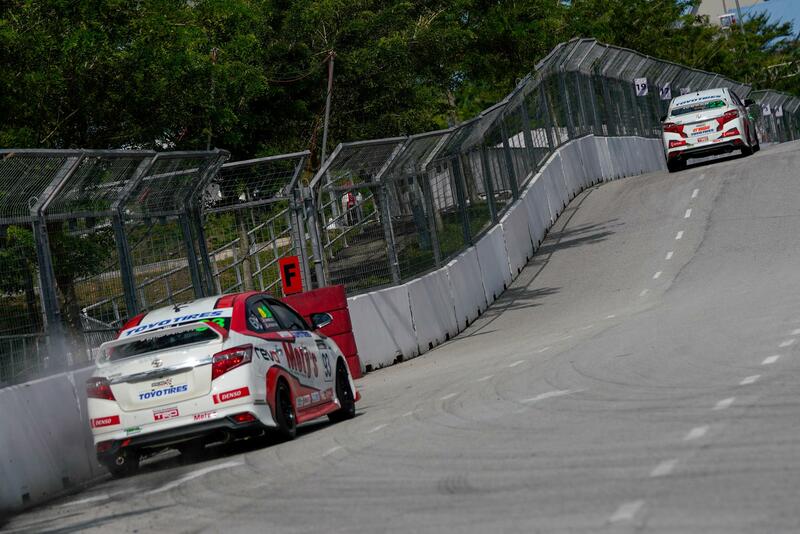 Ho maintained his unbroken podium streak having finished first and second in Kuala Terengganu. You can always count on the professionals to put up a spectacular show and that was precisely what they gave race fans right from the green lights of Race 2. 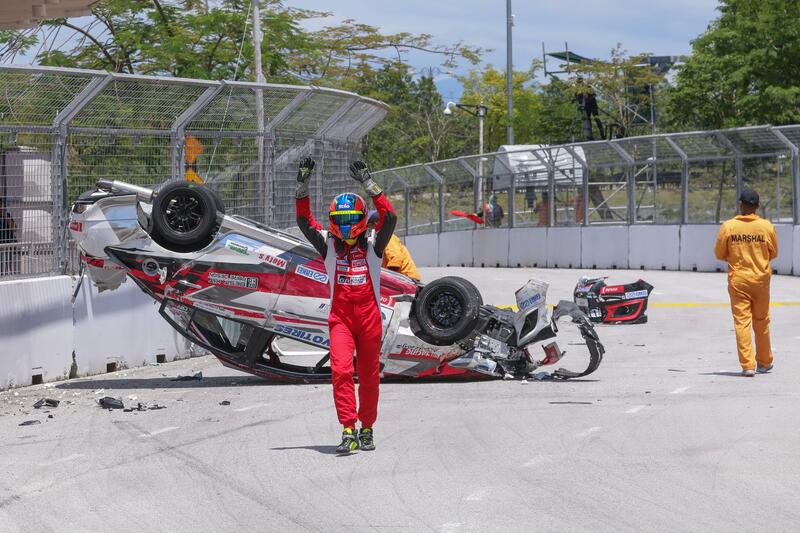 Just two corners in, Kegani Racing’s William Ho was flipped over onto the roof as he rode the concrete barrier due to contact with Telagamas Toyota’s Freddie Ng. 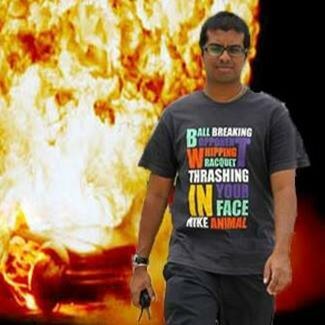 Ho waved at fans as he walked away unhurt from the incident but carnage took 30 minutes to clear. During the restart, Ng in second edged ahead of Kenny Lee in pole as Brendan Paul Anthony gave chase in third. Lee however piled on the pressure and eventually forced Ng into a mistake two laps later; making contact with the barrier at the exact spot Ho turned turtle. Out came the safety car for three laps with Lee promoted into the lead, Brendan in second position and Boy Wong in third position. Ser Meng Hui and Keifli Othman rounded up the top five finishers. 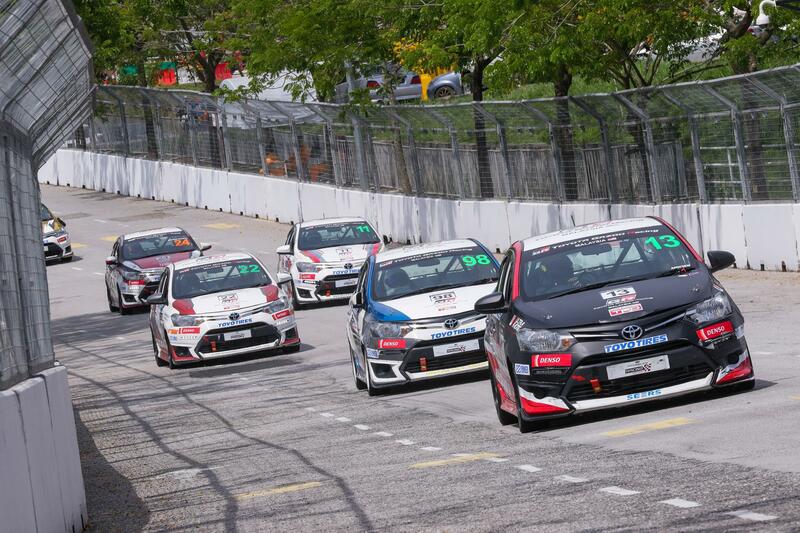 Team Nanoplus driver Patrick Tam shot ahead of the field from pole to lead the race from Distinctive Model’s Clement Yeo, Prodigy Racing’s Hayden Haikal, ST Wangan Racing Team’s Eric Yong, Kulim Top Wheels driver Dato Ken Foo and celebrity Shukri Yahaya. As Tam pulled away, Yeo had his hands full keeping Hayden at bay for six laps until the teen attempted to pass him for second place and made contact. Yeo was prepared for the eventuality of contact and had taken the appropriate counter measure but Hayden had the most to lose as he not only conceded track position to Kenneth Koh but was later served a 10-second time penalty. Koh’s third place was short lived as he was summoned into the pits to repair a damaged rear bumper from the contact with Hayden. 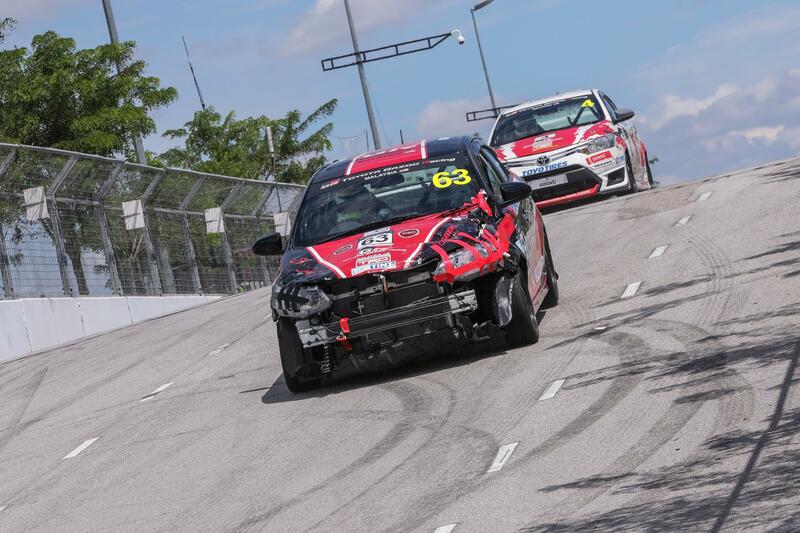 An incident involving Adzeem Eqwan Adnan on lap 6 brought out the safety car for five laps and when the race was back underway, Tam led from Yeo, with Yong in third, Dannies Ng of Revo Technik Malaysia in fourth, Brendon Lim in fifth and Shukri crossing the finish line in sixth position. Foo was handed a 10-second penalty for a false start that saw his classification drop to eighth despite coming in fourth. 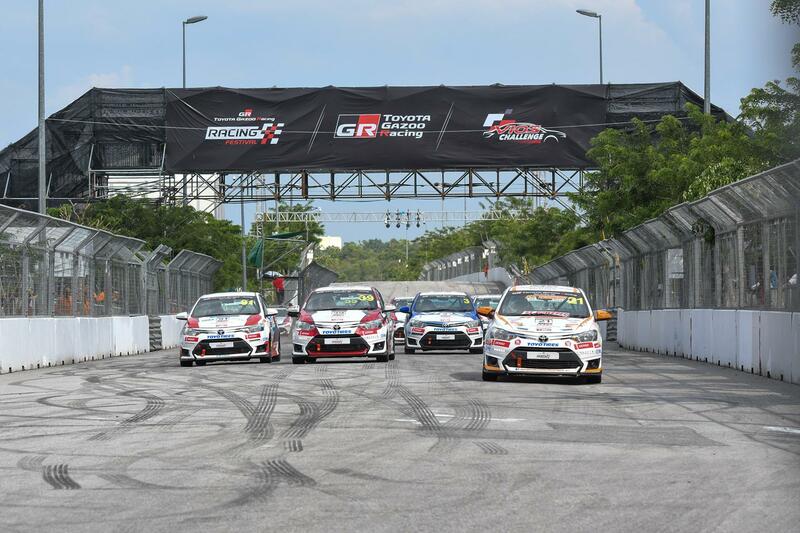 Aiman Tino clinched his first race victory and second consecutive podium for a fantastic weekend. 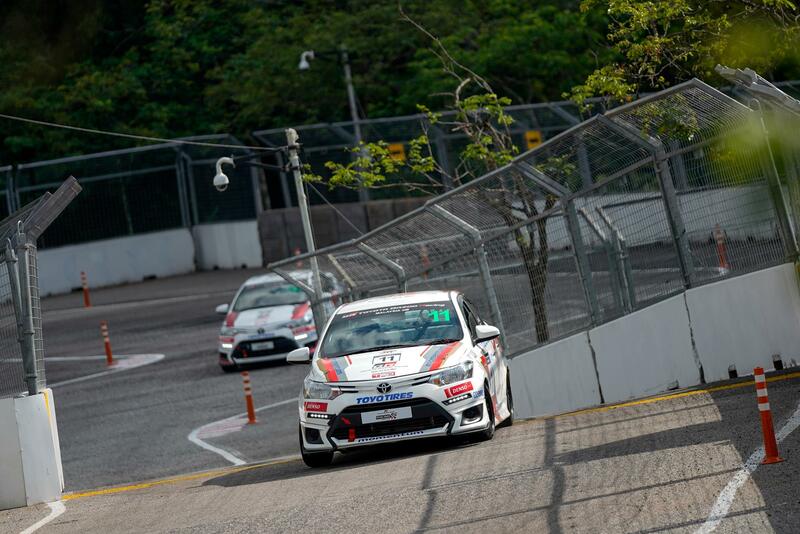 Having started from third, he again repeated his remarkable start to lead the race into the first corner with fellow singer Akim Ahmad in close pursuit and UMW Toyota Motor Sdn Bhd deputy chairman Akio Takeyama in third. “Like yesterday, my focus has always been on trying to get a good start. 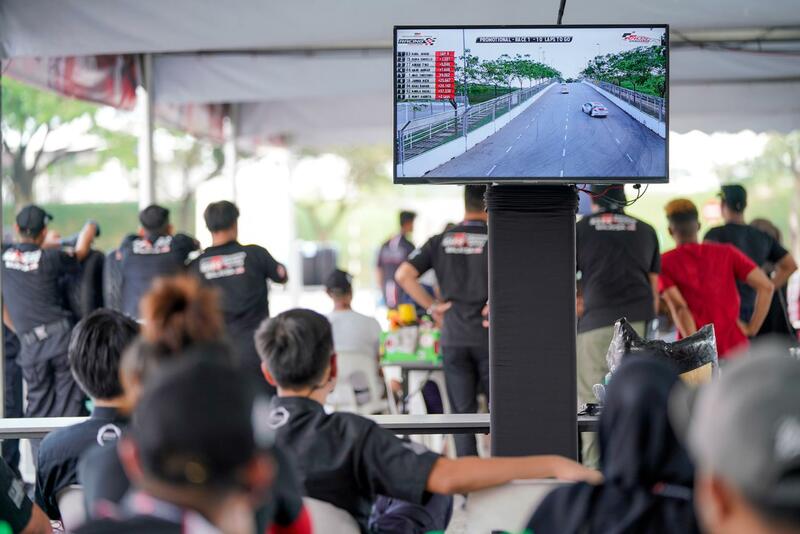 I felt a lot of pressure with Akim, Takeyama and Nabil chasing me down but I was able to keep my cool and gradually extend my lead in the race,” said Aiman. Takeyama was handed a 10-second penalty for a starting offence on lap 3 and later involved in an incident when Nabil’s overtaking move sent him into the concrete barrier, bringing out the safety car. Nabil crossed the finish line in third but was served a 20-second penalty that moved him to sixth. That promoted Diana into third. For Nabil, the incident with Takeyama was extremely difficult to digest, so much so he slowed down at Turn 2 on the very next lap with the intent on apologising, forgetting that there was still a race going on behind him. “I would just like to say very sorry to Takeyama as I may have pushed myself a little too hard in the haste of trying to get past him,” said a clearly distraught Nabil. 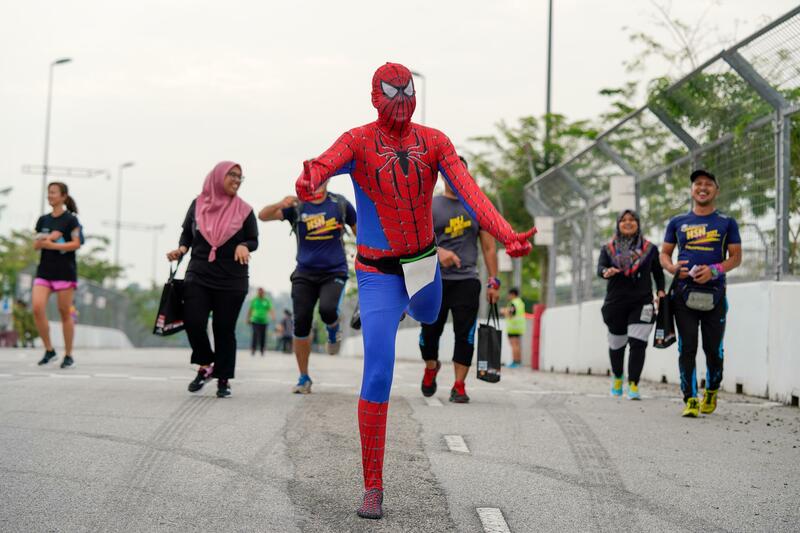 Janna Nick finished fourth, Wany Hasrita crossed the line in fifth while Nabila Razali and Khai Bahar completed the race in seventh and eighth. 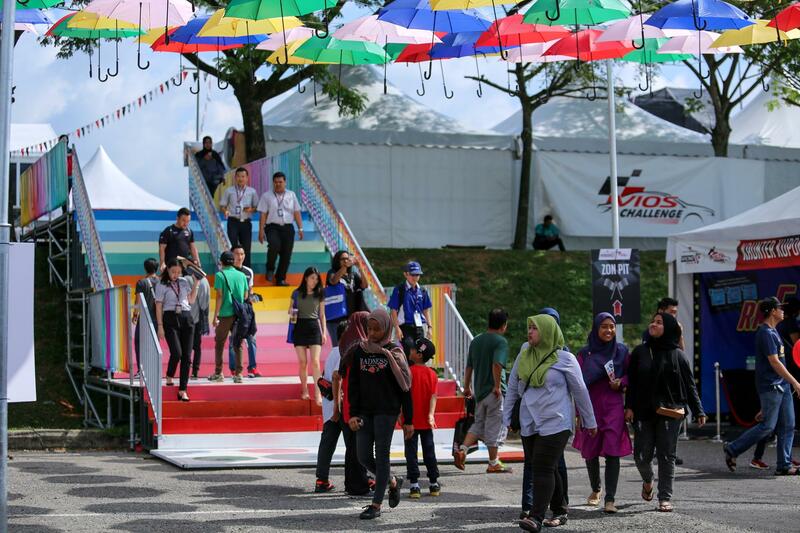 After Kuala Terengganu in August and this weekend’s Round 2 at MAEPS, the festival will travel to the Batu Kawan Stadium in Penang in February 2019 for Round 3 before the season is brought to an end at Sepang.